As part of our industrial cleaning service we offer a more specialised service including the cleaning of laboratories, clean rooms, kitchen deep cleans, computer rooms and equipment, plant rooms, preoccupation cleans and any other aspects of individual specialist cleaning required. Carpets – Deep cleaning of soiled carpets. 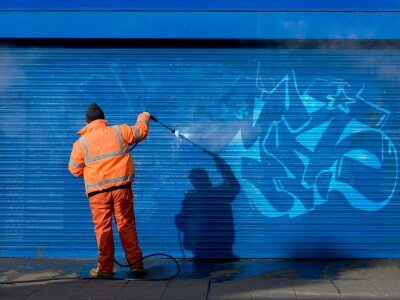 Graffiti -One of our main specialties is the removal of graffiti from building and machinery. Plant Rooms – Specialist steam cleaning. In 2014 we gained the prestigious ‘Safe Contractor’ certification. All aspects of the our health and safety policy and control procedures were inspected and approved, thus ensuring that all health and safety standards are met and that we comply with current legislation at all times. If you would like a free no obligation quote or just need to ask a question on the services we offer then please get in touch.